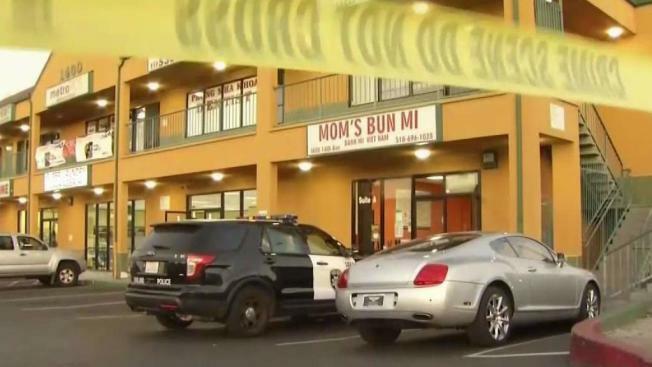 Police are investigating three separate shootings that occurred around the same time span Tuesday in Oakland, leaving two people wounded and one person dead, police said. The first shooting occurred at about 4:40 p.m. in the 1400 block of 74th Avenue. There, a male victim suffered gunshot wounds and was taken to a hospital, according to police. At 4:58 p.m., officers learned that a male victim suffering from gunshot wounds was taken to a hospital from the area of 14th Avenue and International Boulevard. A third shooting was then reported at 5:57 p.m. in the 2400 block of International Boulevard. There, a male shooting victim was located suffering from gunshot wounds. He was pronounced dead at the scene, police said. Detectives are continuing to investigate all three shootings and do not know at this time whether they are related, according to police.